Think Gum was actually founded by a young whippersnapper named Matt Davidson who came up with the idea for the gum while studying molecular and cell biology in college. Matt went to U.C. Berkeley -- and Berkeley, of course, is known far and wide for its enduring love of all things herbal. Matt happened to be reading a study about how in a particular factory, the factory managers kept track of how the workers performed while working and breathing in different herbal extracts. While to me that sounds like the stuff bad sci-fi movies and conspiracy theories are made of, Matt actually took the time to learn something and paid special attention to the fact that the workers responded well to scents like peppermint and rosemary. He then set about on his own idea, and after a lot of work, Think Gum was born. All of that is interesting and everything, but how does it taste? Good question. Each piece contains not only the peppermint and rosemary, but also ginkgo biloba, bacopa, vinpocetine...and guarana, which is a natural source of sweet, sweet caffeine! Each piece has a thin candy coating. I liked that the candy shell yielded softly and didn't cause crunchy shards to break off like most candy coats do. Actually, it reminded me more of the coating on the Premium M&M's. Rather than being a crunchy candy coat, it's almost a soft, lacquer-like shell. The texture is also a little different from most gums. Sure, it's chewy -- but it is also soft, and it's not sticky. Tastewise, it starts out all about the peppermint. It's a fresh, earthy taste -- sort of like chewing on a fresh sprig of mint. It's sweet, but not in a candy way. The mint flavor stays at the front and is strongest for about the first three minutes of chew. After that you start to taste the rosemary. The rosemary side is distinctly more bitter...but in a good way. It takes some of the edge off the peppermint before it reaches the point where you'd get that menthol-ish burn peppermint sometimes causes. It's an herby, robust flavor. The more you chew, the stronger that flavor seems to get. 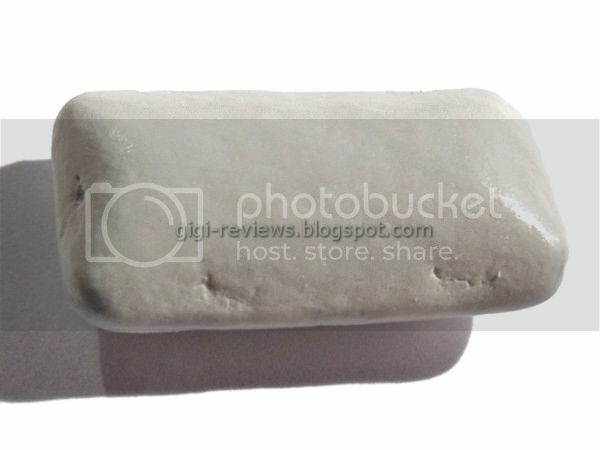 If it gets to be too much for you, or if you just want to recharge it, I suggest simply holding the gum in your mouth for a few seconds without chewing. That seems to "reactivate" the mint, and the gum will taste sweeter again. 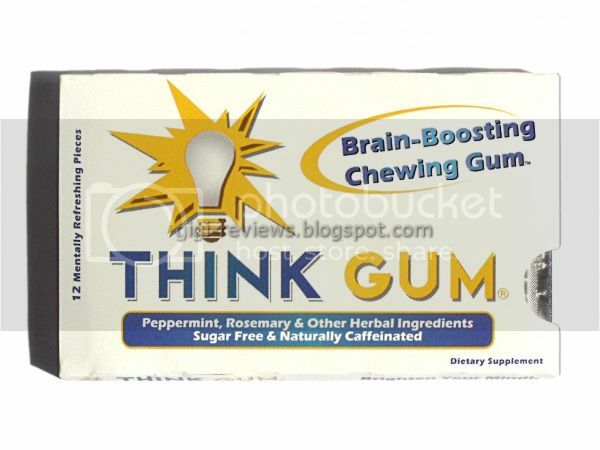 Between the mint and the rosemary, the flavor of this gum has amazing staying power. I chewed a piece for about half an hour before it started to weaken. As for feeling like I was retaining things better, or whether my concentration had improved, etc., that's harder to say. I am currently on so much medication that I'm probably the worst person to even try to review it in that context. But I can say that I felt more alert after chewing, and I'm guessing that's at least partially from the caffeine. 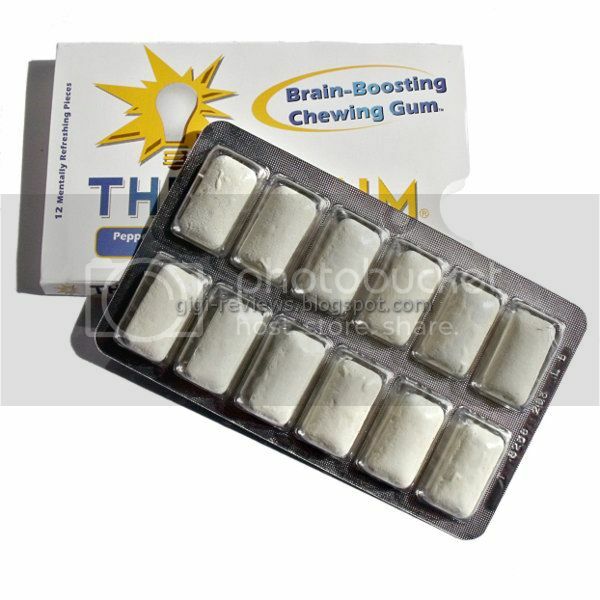 Each two-piece serving of gum contains about the same amount of caffeine as half a can of soda. And that's not overdoing it. I like that I got a little boost without it being so much caffeine that I feel like my heart is going to burst out of my chest, or I may want to do extreme sports or party like a drunken frat boy, or any other overly caffeinated cliché you can think of that I didn't. Overall, I liked this gum a lot for its unique flavor. I like the fact that it's both herby and minty, and manages to pull it off without tasting either like medicine or like chewy dried spices. I also liked the little energy boost I got, and I will definitely keep on chewing! 5 calories per two piece serving. Winner of the JELL-O Pudding Contest! !